The supermodel found her calling as the founder and CEO of Every Mother Counts. Christy Turlington Burns is one of the most successful models of all time. She’s graced nearly 1,000 magazine covers, been the face of countless brands and cemented her ‘90s icon status when she appeared in George Michael’s music video for "Freedom." This year alone, Turlington, 48, has modeled on the covers of French Vogue and Harper's Bazaar and in ad campaigns for Valentino and Tiffany. "I learned all of the things I learned throughout that career because of the things that happened on the side, the trips and the places I got to visit and the relationships I got to form because of it," Turlington told ABC News’ "Nightline." "But the job itself -- it’s not very stimulating." (Victoria Thompson/ABC News) Christy Turlington Burns with baby Jordan who is visiting F.A.M.E. (Foundation for African Medicine and Education) medical hospital for a check-up. So at the height of her career, Turlington left modeling, pursued her masters in public health at Columbia University and directed a documentary. She said she ultimately found her calling as the founder and CEO of Every Mother Counts. Since 2012, Every Mother Counts has provided over $4 million in grants, bringing essential pregnancy, birth and post-partum healthcare to mothers in eight countries, including Tanzania, Bangladesh, Haiti, Syria and the United States. "It just became clear to me at a certain point that just talking is not going to do it alone," Turlington said. "I need to educate people about it. But then we also need to invest because every two minutes [a mother] is dying." (Courtesy Every Mother Counts) Every Mother Counts helps to make childbirth safer in 8 countries, including Tanzania. Turlington was inspired by events in her own life, beginning with the traumatic birth of her daughter Grace 13 years ago, when she suffered a post-partum hemorrhage. "The experience was scary and painful," Turlington said. But, she was grateful to have professionals on hand who were properly equipped to care for her. "I want women who choose to become mothers to have someone by their side that understands, that knows them," she said, "and who can recognize signs of complication and get them the care they need in a timely way." "I want that for every mother." Her mission became even clearer to her after a life-defining trip to her mother’s birth country, El Salvador. Turlington said seeing the mothers there and the challenges they faced really drove her to want to go back to school and study potential solutions. "I think that's the beauty of this is that 98 percent of the deaths are preventable," she said. "98 percent of the complications that arise are also preventable. So there's so much that's possible." (Victoria Thompson/ABC News) A baby is weighed at FAME medical hospital in Tanzania. "Nightline" traveled to Tanzania with Turlington on her 10th trip to the country to visit places like F.A.M.E, (Foundation for African Medicine and Education), a medical hospital which received a grant from Every Mother Counts. Dr. Frank Artress and wife Susan Gustafson started the hospital in 2002. Thousands come to the hospital for state-of-the-art treatment. Nearly 500 babies were born in the maternity ward last year -- many of them with severe complications. "When we first came here 11 years ago, there were three [doctors] for 240,000 people in the district of Karatu and, I mean, it was just crazy," Dr. Artress told "Nightline." 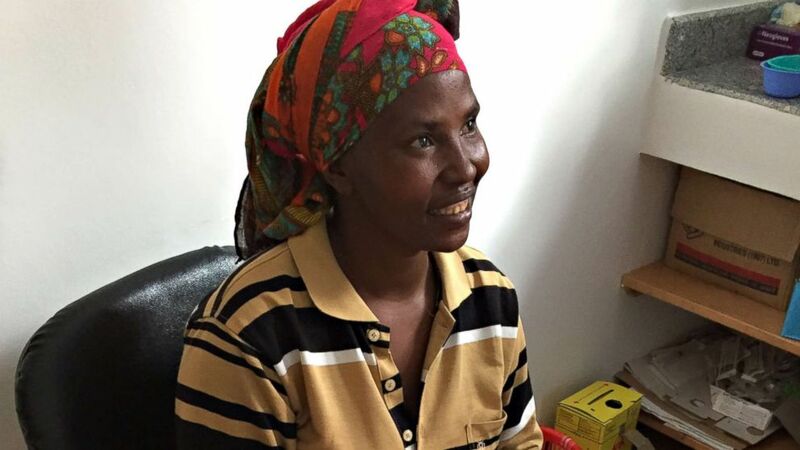 "Now we have 11 Tanzanian doctors here and we know patients come in from all over." For about $2.25, women can come to the hospital and receive a full prenatal care program where they get two ultrasounds, regular checkups and lab work, Artress said. "We couldn’t have afforded it and they couldn’t have afforded it without Every Mother Counts," said Artress, "so it’s really been a giant boost for this program,” said Artress. 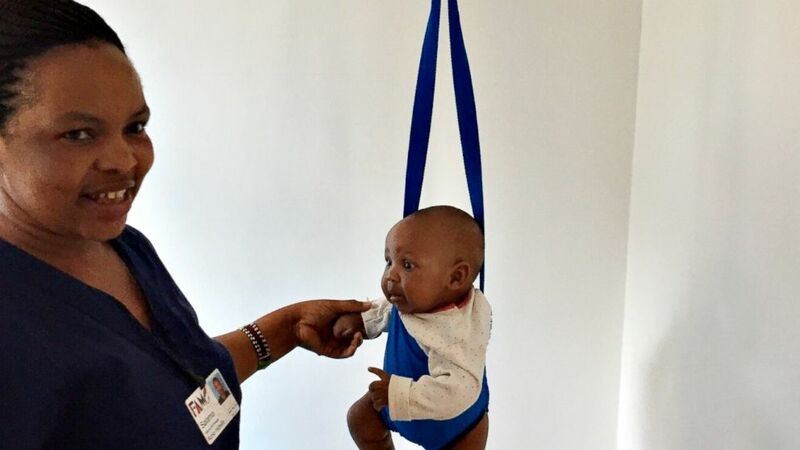 (Victoria Thompson/ABC News) More the 500 babies, many with severe complications, were safely delivered at FAME medical hospital in Tanzania last year. 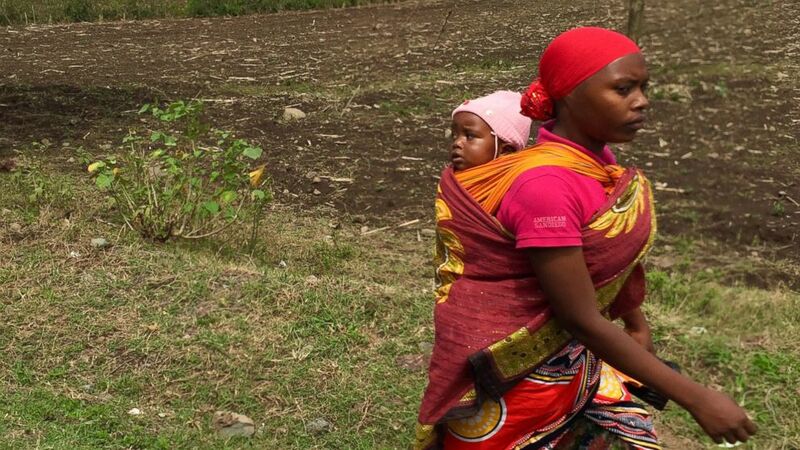 And when they leave, every mother is sent home with essentials they’d likely not receive anywhere else, like diapers, soap and a kitenga for the mother to carry her baby in. "I think this is an exceptional, unique place. I think when they see the next clinic, they'll be able to compare more the reality of what I think would be accessible to people if they sought that care," Turlington said. At the Makyuni Dispensary, a few hours away, the resources are so scarce that health workers often don’t have electricity during nighttime deliveries, forcing them to be done in the dark. 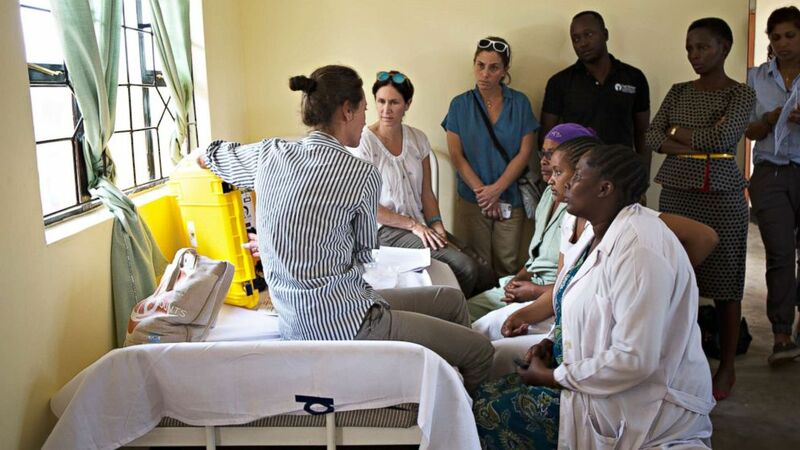 (Courtesy Every Mother Counts) Christy Turlington Burns trains nurses in Tanzania to use a "We Care Solar" suitcase. The energy the suitcases harness will be used to provide light during nighttime deliveries and power medical tools. Every Mother Counts has partnered with an NGO called We Care Solar to provide 192 solar suitcases to rural health centers in Tanzania. The energy harnessed in the suitcases is used to power medical lighting, mobile communication and essential medical devices. In February, to raise money for the mothers that inspired her in Tanzania and all over the world, Turlington ran the Kilimanjaro half-marathon alongside thousands of African runners. "Every time I run thinking about women walking everywhere in Africa, women walking everywhere in Central America, walking because they have to ... Five kilometers for basic care ... It's just an unfathomable thing," said Turlington. "[Motherhood] is a sisterhood. I think it's the capacity to carry a life that unites women and girls. It's a powerful thing. It's the most powerful thing. It doesn't matter where you're from or what what you do, you’re worried about the same things."